DO YOU OFFER PRE-PERFORMANCE EVENTS OR ACTIVITIES? Pre-show entertainment by local musicians is held in the Goldsmith Atrium before most Tilles Center Concert Hall performances. Free to ticket holders. Be an Arts Insider! Enhance your evening at this pre-performance lecture/discussion series. Learn more here. Family Workshops complement select family performances in a small-scale, hands-on setting for all-ages. Bring the whole family! Learn more here. With the exception of some of our family shows, we strongly recommend that you do not bring children under 5 to our shows. In all cases, admission will be at the discretion of the House Manager. Strollers, baby carriers, food and drink or balloons are not allowed in the theater at any time! Click here to view our ticketing policies. 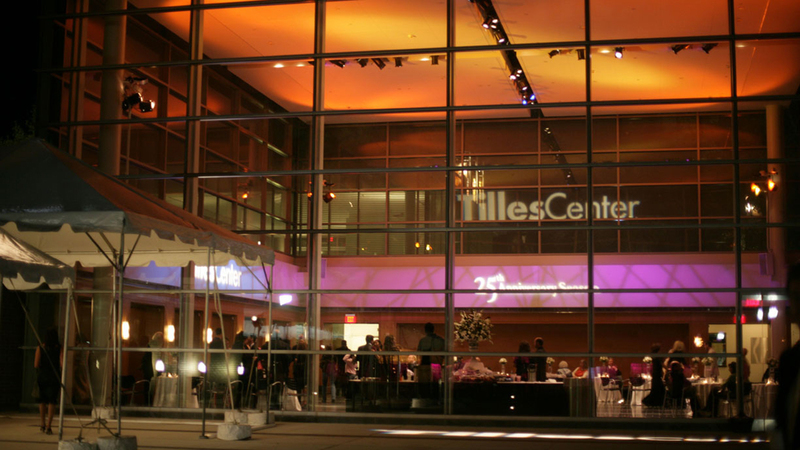 Although there is no official dress “code,” style of dress generally varies at Tilles Center according to the event. At family matinees and evening family specials, the dress ranges from jeans to casual business wear. At evening events in the Main Hall, the dress tends to be casual or dressy business wear. At annual Gala Nights, the dress may be more formal, and range from dressy business attire to black tie. IS FOOD AVAILABLE AT TILLES CENTER? There is a full cash bar, and light snacks are available before most performances. Please note at this time, Concessions accepts both cash and credit, and there is an ATM in the lobby for your convenience. Announcing the opening of the Patrons Café for select events! Enjoy food from local vendors as well as a full bar. Seating will be located in the café for your comfort. Donors of $2500 or more are also invited to the Sosnow Room, off the lobby near the box office, before Main Hall shows and at intermission. Free refreshments are available. On-site Concessions: Drinks and light refreshments are available one hour before performances in the Patrons’ Lounge at the west end of the lobby. At some performances there are also concessions in the lobby for beverages.